Alphabet's higher spending worries investors, shares dip - SABC News - Breaking news, special reports, world, business, sport coverage of all South African current events. Africa's news leader. 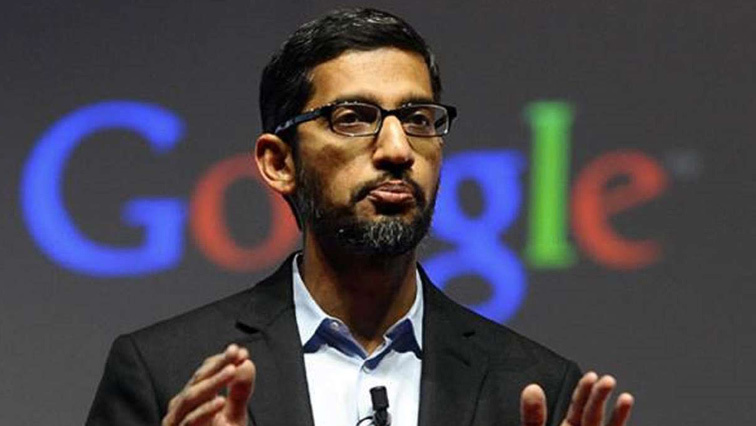 Google Chief Executive Sundar Pichai told analysts the number of people shopping on Google.com each day during the holidays doubled over last year. Alphabet Inc reported sharply higher fourth-quarter spending on video content, employees and facilities, worrying investors who sent the tech company’s shares down about 3% after hours on Monday. Google’s parent company beat Wall Street’s estimates for revenue and profit, but the bigger-than-expected spending prompted investors to question whether cash funnelled into Alphabet’s newer businesses will generate the returns that its search engine unit historically has. The company reported $31.07 billion (£23.80 billion) in total fourth-quarter costs and expenses, up 26% from last year. Capital expenditures rose 64% compared to last year, up to $7.08 billion. Alphabet’s fourth-quarter revenue rose 22% from a year ago to $39.28 billion, compared with Wall Street’s average estimate of $38.93 billion, according to IBES data from Refinitiv. About 83% of the revenue came from Google’s ad system. Partly because of the higher spending, Alphabet’s operating margin was 21%, down from 24% in the year-ago period. This entry was posted on 05 Feb 2019,08:57AM at 8:57 AM and is filed under Sci-tech, Homepage Latest Stories Slider. You can follow any responses to this entry through the RSS 2.0 feed. Both comments and pings are currently closed.